Since the various product reviews I did for Smart Home Week this year I have been ALL OVER the gadgets. I’m all ‘Alexa, turn my bedroom light pink’ and ‘Alexa, turn my heating up to 22 degrees’. You can be cosy and warm without even having to so much as LEAN. Smart home technology appeals to my inner lazybones and basically makes my life super easy. The Yale Sync Smart Home Alarm, part of the range of Yale smart living products, ticks both of these boxes. As well as being disinclined to get up off the sofa unless it’s strictly necessary, I’m decidedly forgetful, and often find myself halfway into town wondering whether or not I’ve remembered to lock the front door/close the windows/put on pants etc. With a Yale Sync Smart Home Alarm you can check up on yourself, via the Smart Home app, and control your home security wherever you are. ﻿ With me so far? Now for the bit where you might look at the instruction booklet, have a bit of a wibble and wonder if you should be trusted to install an alarm system all by yourself without an adult present. This for me is where smart technology comes into its own because it’s SO smart that it pretty much sets ITSELF up. 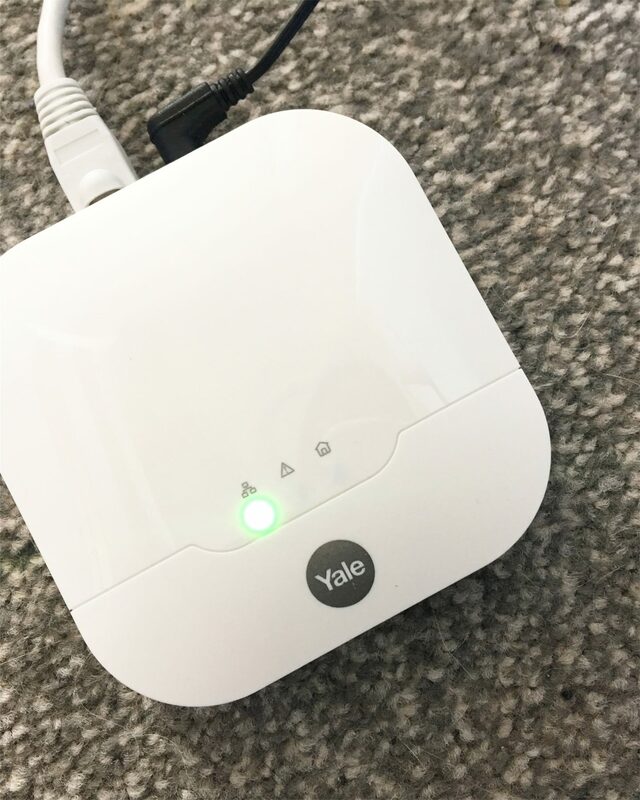 All of the different parts of the Yale Sync Smart Home Alarm kit have already been introduced to each other, so you pretty much just have to download the app, plug in the hub and wait for the green light. You barely even need to use a screwdriver as the door and motion sensors can be fixed using sticky pads. The only thing that needs a little bit of effort is fixing the siren to the outside of the house, but even that is only a bit of basic DIY. Once it’s done you’ll be able to tweet ‘Just installed my own smart home alarm system’ and everybody will be VERY IMPRESSED. You see? It couldn’t be simpler. The Yale Sync system works alongside Alexa so you can use your voice to turn the alarm on and do things like check whether or not your doors or windows are open. I’m of that age where to me, this is basically magic. I know Belle takes things like Alexa for granted, but I can remember having a black and white portable television that you controlled with a single knob that you had to tune in like a radio. So. Magic. Although technology is amazing, it’s always nice to have the option to control an alarm manually. Maybe your phone has run out of battery or perhaps you have a friend or relative coming round while you’re not there to feed the cats or let in the plumber or something similarly grown up. You just need to tell them the pin number then, and they don’t have to worry if they’re not technologically inclined. 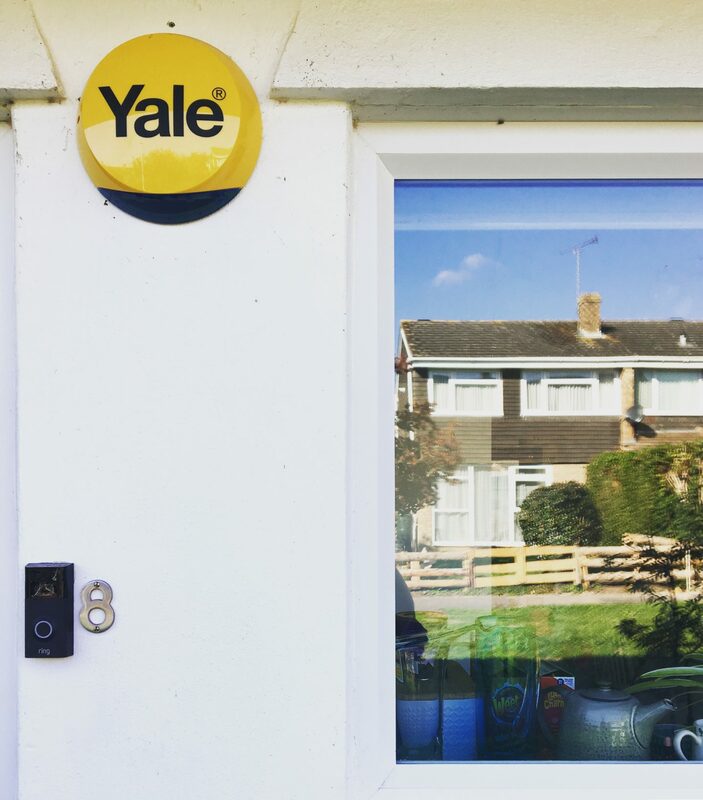 The Yale Sync alarm has a 200m range, so if you have a shed or a garage that you want to include in you security set up then as long as they are less than 200m from your hub you can have them all in one system. 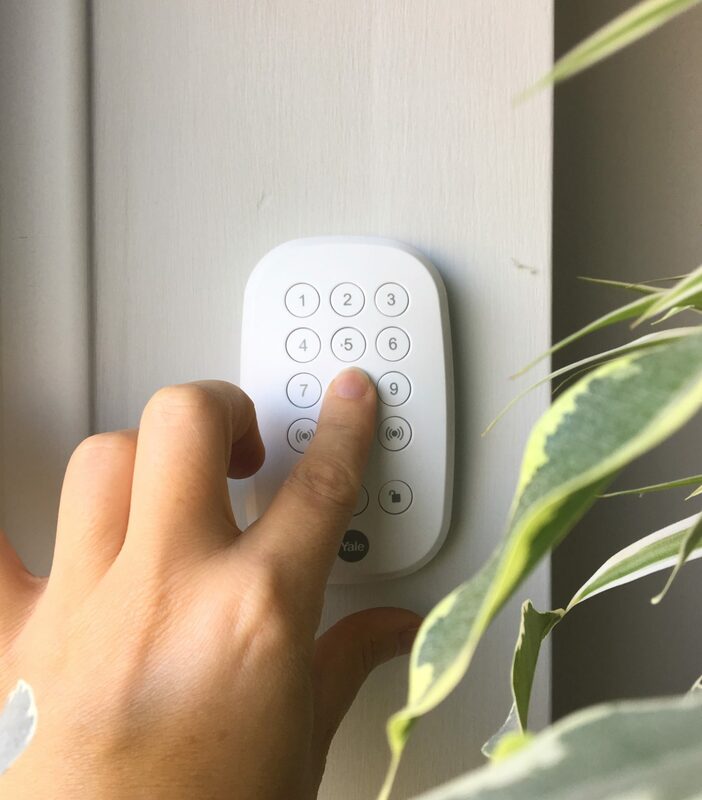 The Yale Sync Smart Home Alarm system is flexible, so you can add in other Yale security devices, like CCTV, Home View cameras and door locks, and control them all via the app. 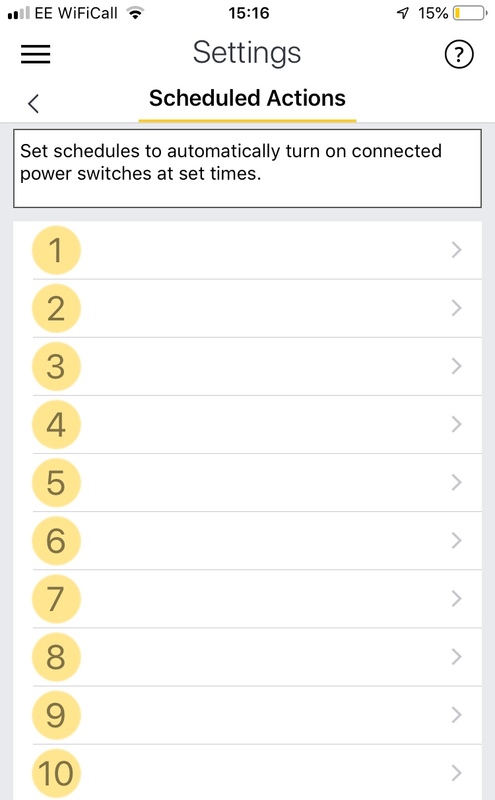 You can also add in Yale smart plugs, which are controllable via the app either as a simple switch on and off of via a series of schedules, which you can customise for each plug. If you’re on holiday for instance, you might set your downstairs lights to switch on during the evening, and then the upstairs lights to come on for an hour or so before bedtime, helping create the illusion that you’re at home and reducing the risk of a break-in. I’m a big fan of Philips Hue lightbulbs and have them in most of the rooms in our house. I love being able to change the feel of a room just by changing the light, and I like being able to tell Alexa to switch my bedroom light off when I’ve finished reading. The Yale Sync Smart Home Alarm has been developed to link up with your Philips Hue lightbulbs, so if your alarm does go off, all of your lights will also flash red, helping to attract attention from people outside. 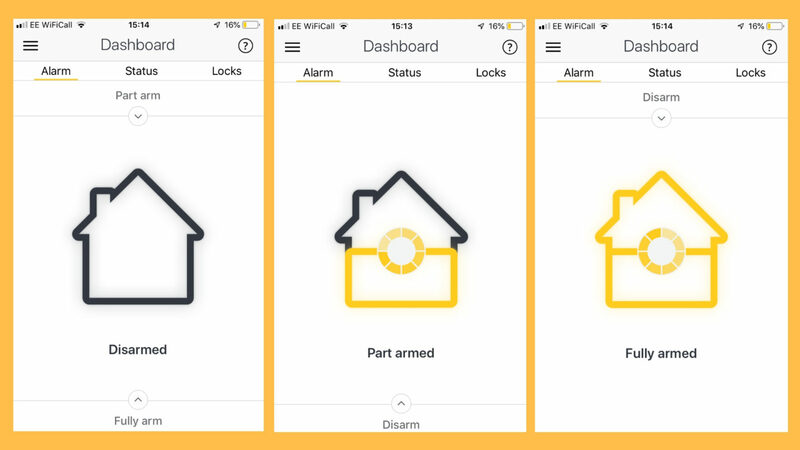 With the Yale Smart Living app you have the option to choose whether or not you want to fully arm your alarm or just part arm it. Part arming might be useful if you’re at home overnight for example, so want the option to be able to move about upstairs, but still want the protection for downstairs. Nothing to do with actual jam, so it’s not going to know if you’ve got a spoon in the Bonne Maman again, but it WILL notice if someone is trying to jam the signal and will trigger the alarm to let you know. So there you have it, seven things that the Yale Sync Smart Home Alarm can do that you might not previously have realised. Are you suitably impressed? Find out more about the Yale Sync Smart Home Alarm here. Previous Post Are the school years the best or the worst years of your life?